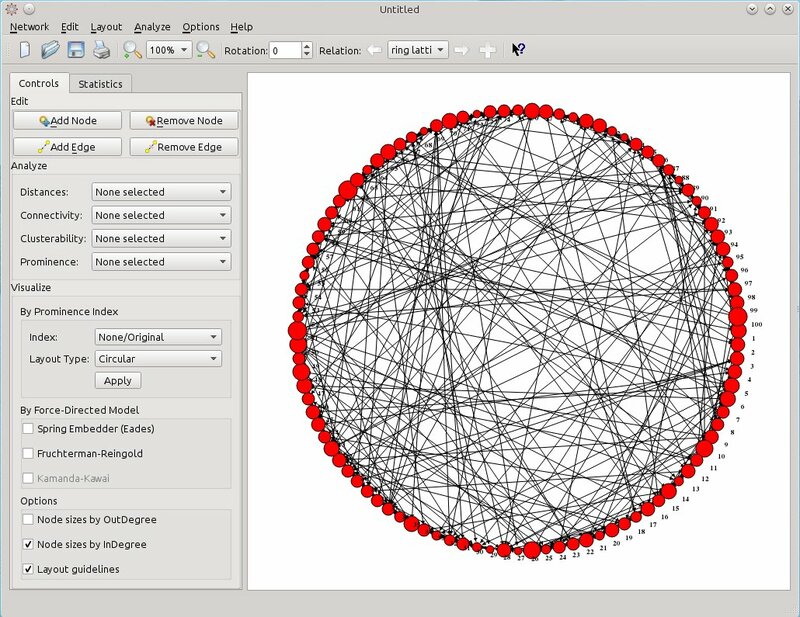 The Social Network Visualizer project has just released version 1.9, which fixes many important bugs and brings a faster matrix inverse routine. Source code, Windows zipped executables, Mac OS image and binary packages for major Linux distributions are as always available from the Downloads page. The matrix inverse algorithm is now using LU decomposition which greatly improves the computation speed. This improvement also affects Information Centrality algorithm which runs now in 1/10 of the time needed in earlier SocNetV versions. Also, version 1.9 brings a revamped PageRank Prestige algorithm. Up to 1.8 the PageRank algorithm was using the original Page&Brin formula which lead to different results. From this version, SocNetV uses the correct formula and computes comparable results. Also, the initial PR score of each node is now 1/N.